Another quirky necklace I spotted looked right out of Puss in Boots. It is part of the Musketeer collection and there are lovely enamelled charms you can wear on a charm bracelet, or on a necklace. I can imagine that cat lovers will love to own this beautiful, elegant cat charm. The lobster claw looks like it will fit a charm bracelet with thinner links so if you already have one, just get the charm and add it on. Or you can get the charm bracelets here too. There were some signature pieces as well, if that catches your fancy. Necklaces, earrings and bracelets that you can attach charms on. Some slightly pricier ranges are made of silver. The others are, I believe, rhodium which does not tarnish as easily. they are very cute indeed! love the charms! It was the one that caught my (and everyone else’s) eye too! They look pretty, especially the bracelet. Hope the quality is good (really off Swarovski after my new ring lost a crystal after 3 months and they claimed I damaged it!). I need a new midrange jewellery line! Bought the charm and the bracelet. 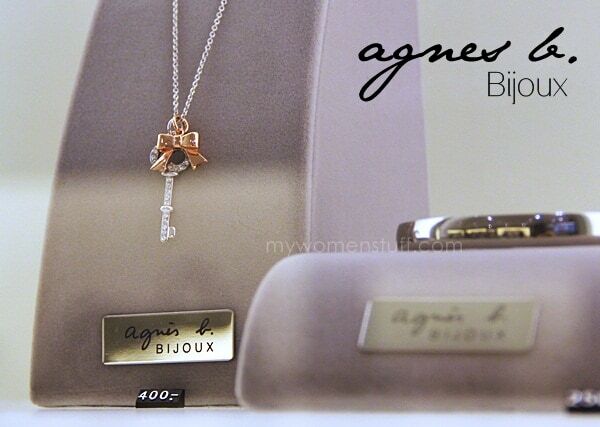 It is not silver for Agnes B . The material is made of Brass . But the price is close to Thomas Sabo . I intent to swap to Thomas or do a fushion . Thomas Sabo are Silver and the price do not differ that far. 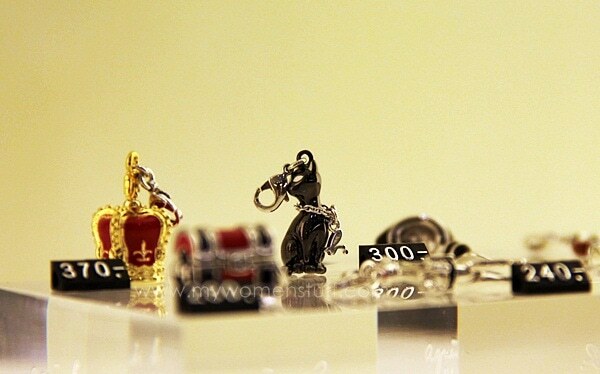 Tiffany charms are lovely but is too expensive . But I’m wearing hijab, so even if I wear it, it can’t be seen though. If it is smaller in size and sold as a charm, I’ll buy it for sure. Very cute and girly. 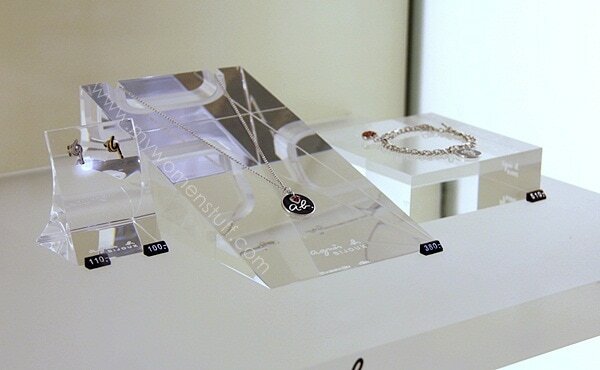 I wonder how’s the quality and design selection compared to Thomas Sabo. I own some TS charm bracelets and the quality is good. TS have soooo many design too. You picked out my fave charm! The crown one. It looks so exquisite right? Yup! 😀 it looks charming <3! I’m so stopping by their store this coming June, while I’m in KL. 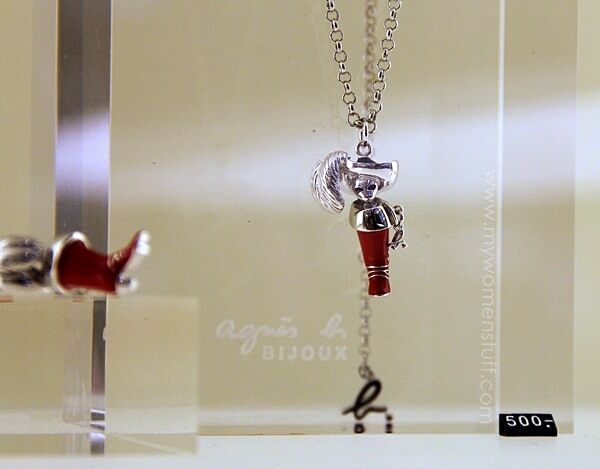 So Cunn… I wonder hows the quality and is it silver or dipped in white gold? Anybody? There is a range that’s 925 silver which is a little more pricey. The regular range could be rhodium but I’m not too sure about that.